Price: £29.99 (incl VAT) Sorry, this item is currently unavailable. Click here to receive notification when this product comes back into stock. 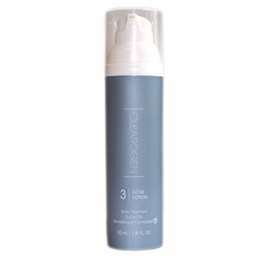 Clearogen Step 3 Acne Lotion is part of the 3 Step skin care routine for acne prone skin. 55ml lotion in a pump bottle. Clearogen Step 3 Acne Lotion helps to clear existing acne and prevents further breakouts from occurring. The lotion also improves the texture of the skin leaving it feeling soft and smooth. Sulphur is one of the oldest known treatments for acne. It works by drying the skin and causing a peeling effect. Directions for Use: After cleansing and toning, apply lotion over the entire face. Use the lotion daily. If irritation, sensitivity or excessive drying occurs, discontinue use of all products and consult a doctor. Warnings: For external use only. Keep out of the reach of children. Avoid contact with eyes, if products gets into the eyes, rinse thoroughly with water. If excessive irritation develops or increases discontinue use and consult a doctor. Ingredients: Benzoyl Peroxide 2.5%. Water (Aqua), Linolenic Acid (Alpha & Gamma), Linoleic Acid, Glycerin, Glycine Soja (Soybean) Sterols, Dodecyl Gallate, Octyl Ethylhexyl Gallate, Serenoa Serrulata (Saw Palmetto) Fruit Extract, Caprylic/Capric, Triglyceride, Cetearyl Alcohol & Dicetyl Phosphate & Ceteth-10 Phosphate,Dimethicone, Aloe Barbadensis Leaf Extract, Glyceryl Stearate & PEG-100, Stearate, Sodium Hyaluronate, Cetyl Alcohol, Caprylyl Glycol, Phenoxyethanol, Extracts of Malva Sylvestris (Mallow), Mentha Piperita (Peppermint) Leaf Extract, Primula Veris Extract, Alchemilla Vulgaris Extract, Veronica Officinalis Extract, Melissa Officinalis Leaf Extract, Achillea Millefolium Extract, Imperata cylindrica Root Extract, Stearic Acid, Symphytum Officinale Extract, Camellia Oleifera (Green Tea) Leaf Extract, Tocopherol, Plantago Ovata Seed Extract,Hydrolyzed Wheat Protein, Tocopheryl Acetate, Melia Azadirachta Leaf Extract, Chamomilla Recutita Flower Extract, Xanthan Gum, Ethyhexyl Glycerin, Sulfur, Disodium EDTA, Magnesium Aluminum Silicate, Hexylene Glycol. Product code: CLEAR3 Price: £29.99 (incl VAT) Sorry, this item is currently unavailable. Click here to receive notification when this product comes back into stock.